The kitchen is considered one of the most important parts of our house. In fact, it is so important that we spend most of our time there. Consider eating, chatting, some people even work in their kitchen. In simple words, the kitchen is where we spend most of our time. Another thing to keep in mind is that if we want to create a good image in front of our guests, then the best way is to design our kitchen in that manner. It doesn’t matter what the size of your kitchen is, as long as you are able to creatively design it in a unique and authentic way, it will always be beautiful. And unlike other parts of our house, in the kitchen, each and every part of it plays a vital role in increasing its beauty. Most of our kitchen is filled with the storage space. And it is because we have to keep all our kitchenware in an organized manner that is highly accessible and that we would never have to go on a hunting spree if we are not able to find something. To make it as organized as possible, there are many things that can be used, such as different types of baskets, cabinets, and storage units. Cabinets are what covers the storage area of our kitchen. 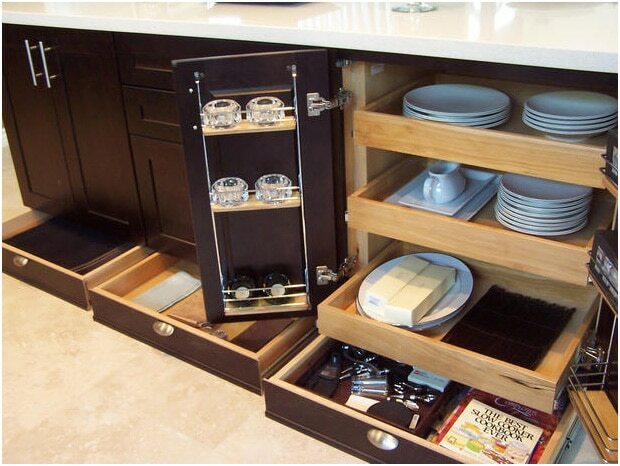 Having great kitchen cabinets in which there are utensils in an organized manner, is the best thing we can have in a kitchen. 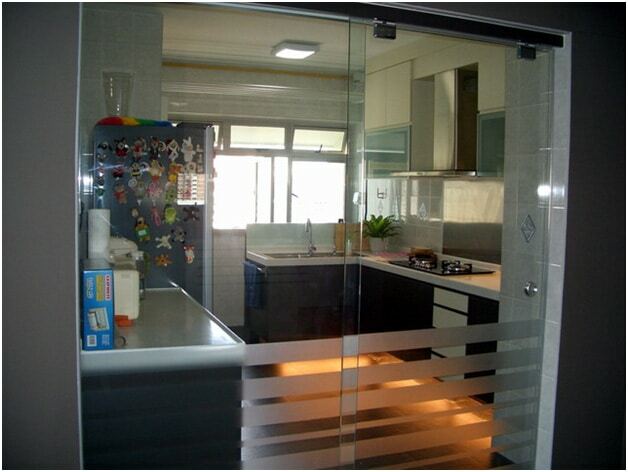 Also, if you have to use glass doors for your kitchen, then it would make it look much more bigger. 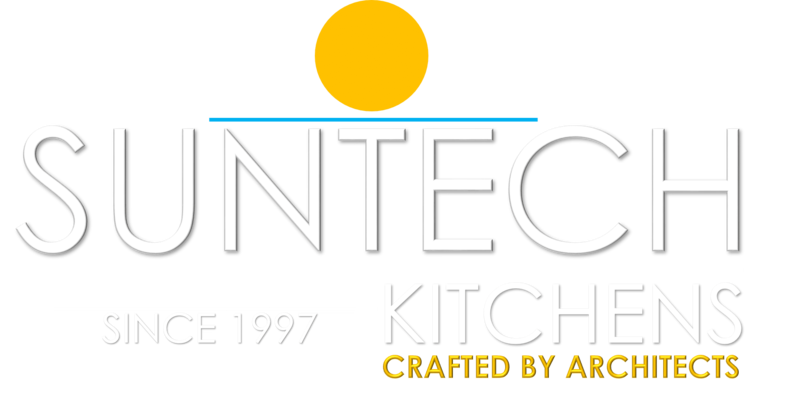 At some point, we will eventually cook something in our kitchen. And while cooking, it is common that it will generate some amount of heat and smoke. And to prevent that smoke from being spread in all the rooms of our house, we make use of a chimney. This ensures that all the smoke is thrown out of the house. 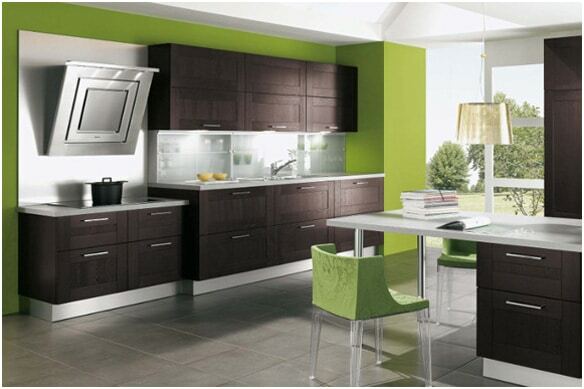 The colors of your kitchen are what defines your mood when you get there. Having basic and bright colors is the best way to make sure that you feel great working there and spending time in that area of your house. The flooring of our kitchen too has the same effect on us. Make sure that you choose both of these wisely. 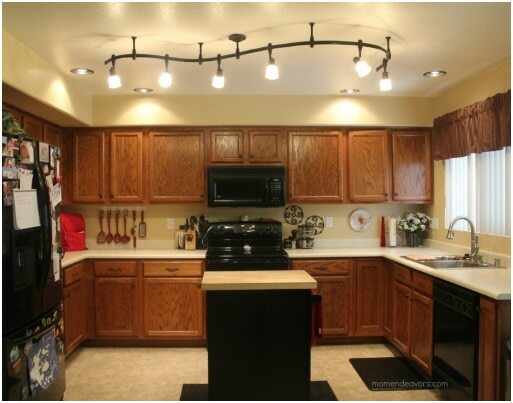 Whether you like it or not, but having great modern lights in your kitchen will give you an awesome treat every night. You can add some colorful lamps to make this experience much better.